Fellows are listed in alphabetical order (by surname). 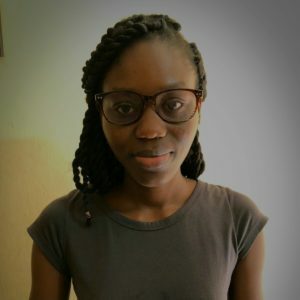 Martha Alade is the founder of Women in Technology in Nigeria(WITIN), an organization that empowers women and girls socio-economically through ICT. Martha has played both technical and leadership roles in several government initiatives for women, girls and ICT in Nigeria. She is committed to bridging the gender digital divide and has pioneered several grassroots initiatives such as the grassroots women empowerment through ICT (GWEIT). She is determined to participate more actively and effectively in the internet governance processes and debates, as well as pursue a resilient campaign to get more women involved in internet governance. Petrus Amupadhi has worked for many years as a systems administrator for an internet service provider and is currently the electronic communications and projects officer at the Communications Regulatory Authority of Namibia (CRAN). CRAN was established through an Act of Parliament and its mandate is to regulate telecommunications, broadcasting and postal services in Namibia. Petrus holds a bachelor’s degree in Law and a Master’s degree in Information Technology and has a keen interest in cyber-law, cyber-security, internet regulation and how the internet affects societies. 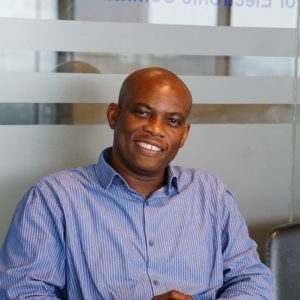 Victor Asante is a senior manager in charge of research, monitoring and evaluation at Ghana’s Universal Service Fund, the Ghana Investment Fund for Electronic Communications (GIFEC). He is passionate about the digital participation of the unconnected and is very active in advocacy activities for the removal of barriers to access. He is a member of the global advocacy group Alliance for Affordable Internet in Ghana. 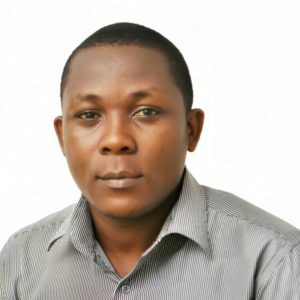 Idowu is programme officer at Media Rights Agenda (MRA), a Nigerian non-governmental organisation that defends and promotes freedom of expression, freedom of information and digital rights. 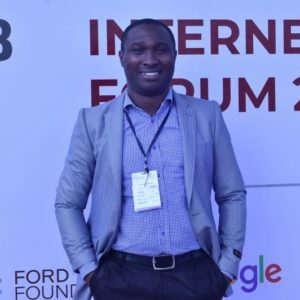 His experience/interest in internet governance includes but is not limited to policy formulations that address freedom of expression online, access to the internet, awareness raising, surveillance and stakeholders participation. As part of his roles at MRA, he monitors respect for human rights on the internet including freedom of expression, access to information, right to freedom of assembly, association, and privacy. 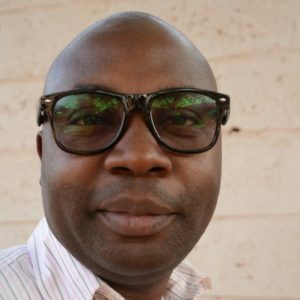 Mackphason Buberwa is currently working with the Tanganyika Law Society as programme officer for government and parliament engagement specializing in advocacy and law reforms. He is passionate about freedom of expression and digital rights. He has experience in internet governance-related work. He is actively working on promoting human rights and public inclusiveness in decision-making processes through various platforms and forums. He is a seasoned orator and has interests in internet governance. His hobbies include music, movies, sports and reading. Afi Edoh (Afia Faith) is Togolese and works for the Afrotribune Media Group in Togo as chief technology officer. She also works as a systems engineer at E-hub. She is a pass volunteer of Tech Needs Girls. She is a fellow of Afrinic (2017) and a member of Internet Society Ghana and Togo chapter. She wishes to learn more about internet governance in Africa and how she can contribute more to its safety and availability. Komi Elitcha is a system engineer at Brasserie BBLOME a subsidiary of Castel Group in Togo. He also works as a security consultant for a young start-up called Pyramid Hackers, where he provides training in ethical hacking and performs vulnerability checks. 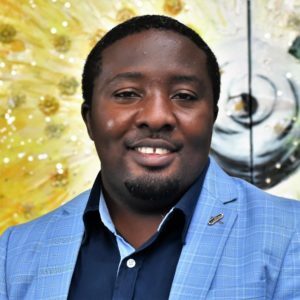 He's an international technical instructor at Africa Network Operators Group where he trains on Internet Scalable Services like DNS and E-mail scalability. His interests in internet governance are around cybersecurity, privacy issues and gender equality. He enjoys jogging and food and is a comedian and likes public speaking. 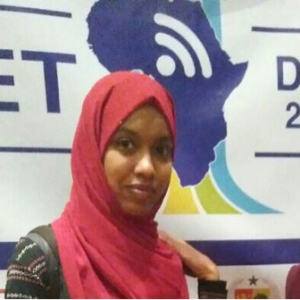 Manal Hassan is a FOSS enthusiast; her main interest is adapting and delivering technology to non-techies, and training them to use it on their own. 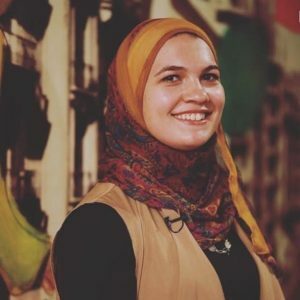 She has extensive experience in facilitation, community building and working on web technologies and new media with NGOs, human rights activists, and children. Wambui Karuga is a Mechatronic Engineering graduate from Nairobi, Kenya. 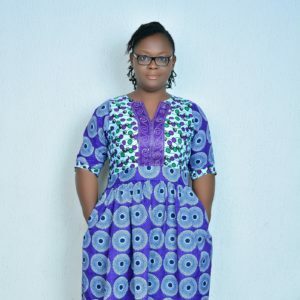 She has experience with various programming languages such as C, C++ and Python. She believes in the importance of the internet to the quality of life of people from all walks of life. She is interested in using the internet for the promotion of youth participation in political and civic duties. Her Messenger bot, known as Uchaguzi Kenya, was a finalist in the 2017 Facebook Bots for Messenger Competition in the “Social Good” category. In her downtime, she enjoys sitting down with a good book, or enjoying a game of Chess. Phakamile Khumalo has over four years experience in the youth development sphere. She is passionate about building and empowering young people through meaningful participation so they can be at the forefront of their own growth. 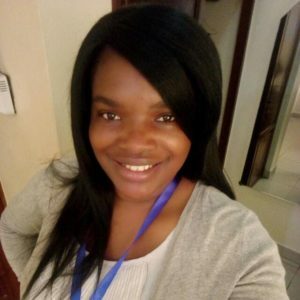 Currently, she does this through coordinating and managing the Web Rangers Digital Literacy Programme in South Africa at Media Monitoring Africa (MMA). A key component of Phakamile’s work is providing young people with critical digital and media literacy skills thereby empowering them to engage in national discussions around issues of online safety, policy regulation, freedom of speech, access and internet governance. Prossy Kawala is a media and community solutions expert with profound knowledge and skills in developing and promoting meaningful initiatives for community transformation and development. 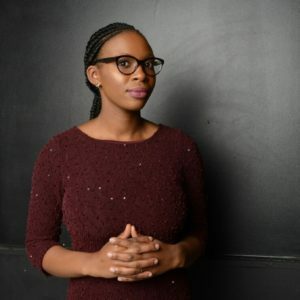 She co-founded the Centre for Media Literacy and Community Development, a Ugandan-based non-profit organization transforming communities through the promotion of both media and community-led initiatives. Through her organization she has worked to create youth structures with over 100 young people in four districts of Uganda trained and equipped with skills to amplify community voices through media. Her other interests rotate around grassroots organisation. 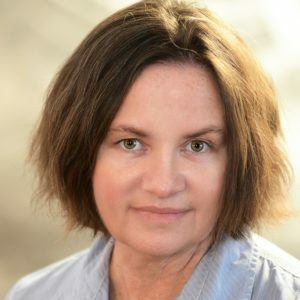 Justine is an independent communications law consultant and Visiting Adjunct Professor with the LINK Centre at the University of the Witwatersrand. She specializes in broadcasting, media, telecommunications, internet and space and satellite law. She is an expert in drafting legislation, regulations and policies for electronic communications regulation. 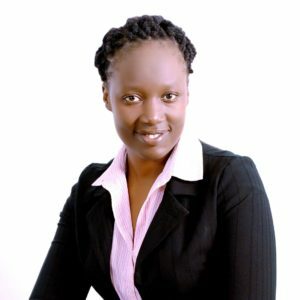 She is the author of two two-volume books, the Media Law Handbook for Southern Africa and the Media Law Handbook for Eastern Africa, both of which include extensive analysis of broadcasting and online regulatory environments. She has given lectures on various communications-law issues at a number of universities. 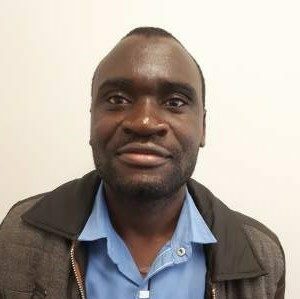 Donald Flywell Malanga is systems librarian at the University of Livingstonia in Malawi, where he is committed to promoting digital information literacy programmes. He is interested in internet governance on issues to do with digital literacy of disadvantaged communities, the youth, people with disabilities and women. He has also published articles in peer-reviewed journals such as Information Development, International Journal of Privacy and Health Information Management. He is currently pursuing a Ph.D. in Information Systems at the University of Cape Town, South Africa. 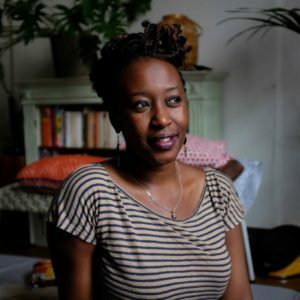 Grace Mutungu's work revolves around the intersection of technology, human rights and culture. She researches on tech policies in Africa and has interest in digital rights, digital governance and digitalisation. She was a 2016/17 Open Technology fellow at the Berkman Klein Center for Internet and Society (Harvard University) studying information controls at election times in Uganda and Kenya. She is an associate at the Kenya ICT Action Network (KICTANet) where she carries out policy and legal advocacy. 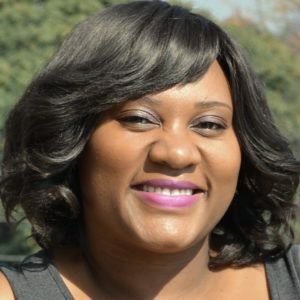 Sabine Matsheka is a media and communication professional in Botswana with interests in technology and justice. She currently serves as a researcher for the Africa Communication Week. 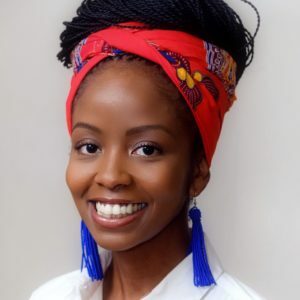 Her work covers the East African region and will be published in a report monitoring and documenting African countries’ media, communication and technology conditions and how they affect the ways in which the countries and the continent communicate. Sabine’s interests and work has centred on marginalised groups. 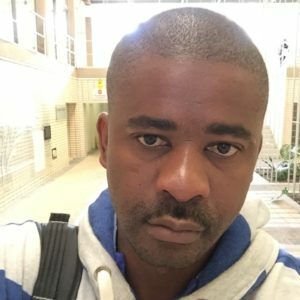 Dudu Mkhwanazi is the chief executive officer at Project Isizwe a non-profit organization that advocates for and enables the deployment of free WiFi hotspots within walking distance in low-income communities. She is passionate about internet governance and actively endeavors to influence policy in South Africa which will see the implementation of broadband in rural areas, with a specific focus on safe and quality internet access. An avid reader, she shares her passion for books through reading for children at the Nelson Mandela Children’s Hospital and enjoys spending time outdoors. Khansa is system engineer at Canar Telecom. Prior to that, she worked as a network administrator at SudREN and Quantum for hosting services. Khansa is passionate about technology and internet infrastructure and began to be involved with the internet community in 2014. 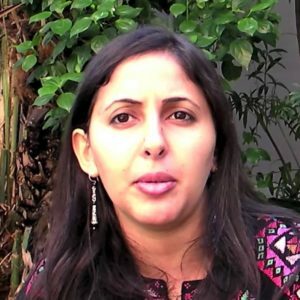 She currently volunteers for Sudan Network Operators Group (SdNOG), bSudan IPv6 Task Force (Sdv6TF). She has amassed diverse experience through participating in regional meetings such as African NOGs, Middle East NOGs and AfriNIC. 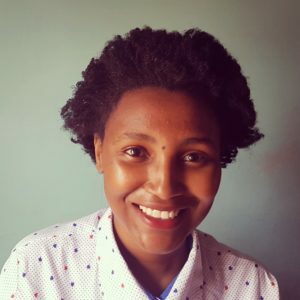 Khansa recently joined Sudan IXP operation team and is involved in the peering and interconnection community through AfPIF. Richard Mulonga is a Zambian journalist having worked as a broadcaster, news reporter, photojournalist and columnist. He worked briefly for two Zambian NGOs in communications and is now an avid blogger, journalism trainer and founder of the Bloggers of Zambia. Richard is passionate about free speech, media rights and access to information as critical precursors to all human rights. With Bloggers of Zambia he is currently leading online and offline campaign #OpenSpaceZM on proposed cyber laws in Zambia which are viewed as a threat to good internet governance and freedom of expression. 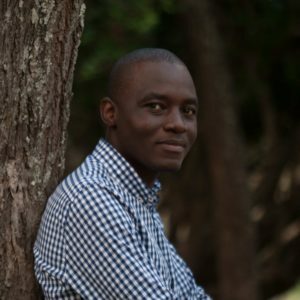 Daniel Mwesigwa is a project officer at the Collaboration of International ICT Policy for East and Southern Africa (CIPESA) operating out of Kampala, Uganda. He focuses on use of ICT tools to foster civic participation and social accountability in Kenya, Tanzania and Uganda. 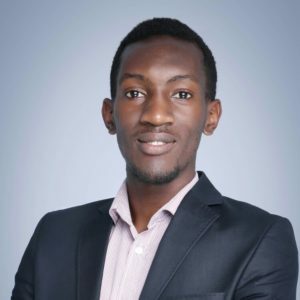 He also regularly writes on issues such as internet governance, the state of innovation and entrepreneurship and the funding landscape in Africa on iAfrikan, a pan-African tech publication,The Next Web (TNW), TRUE Africa, and on the Uganda-based consumer tech blog, Dignited, where he is a co-founder. He enjoys dancing to good music and playing soccer. Mandiaye Ndiaye is Senior Librarian at Cheikh Anta Diop University of Dakar, Senegal. He is an advocate of free access to information and knowledge. He is interested in internet governance and public access in libraries. 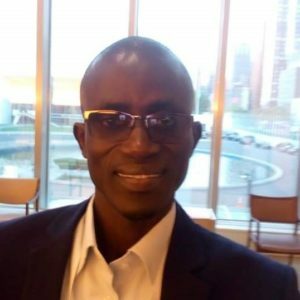 He is the president of the Senegalese Association of Librarians, Archivists and Documentalists and national coordinator of eIFL Open Access Programme on behalf of the Consortium of Higher Education and Research Libraries of Senegal. He is also a fellow of International Visitors Leadership Programme (IVLP) of US Department of State on American Libraries. 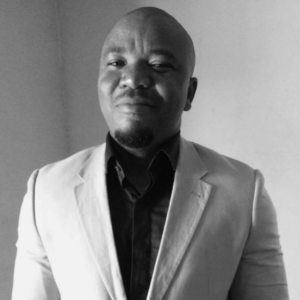 Sean Ndlovu is head of innovation and research at Centre for Innovation and Technology. He has a track record in finding creative ways to use technology in media, government and civil society organisations. He is also a digital security trainer. He is into internet governance particularly cybersecurity and is passionate about freedom of expression online. He is interested in getting more journalists involved in internet governance issues. His hobbies are hacking IOT devices with Raspberry Pi and Home Automation. 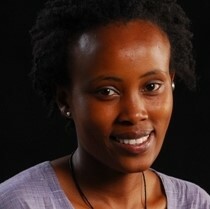 Evelyne is a PhD candidate at Kenyatta University, Kenya specializing in Gender and Development. Her main area of focus is Gender and ICT with special interest in women, the internet and social media. Her main areas of research include women’s digital rights, internet governance and all forms of violence against women. 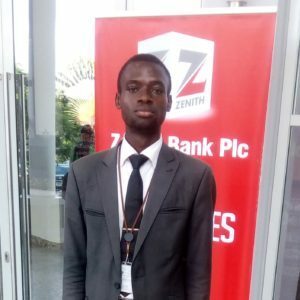 Ogundele Caleb is affiliated to the African Academic Network on Internet Policy as project manager and technical team lead. His interest in internet governance revolves around data privacy, copyright, intellectual property, cyber security, sustainable access, digital rights, media literacy, emerging technologies and other internet-related issues that affect the African digital economy. He is a former team lead of the Information Technology Unit at the University of Ibadan, Distance Learning Centre. He is currently the programme secretary of the ISOC Nigerian chapter. 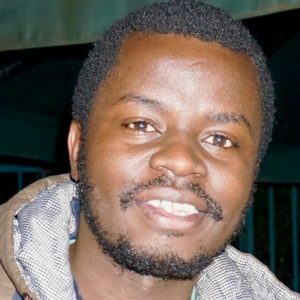 Ongere Churchill is programme assistant at Article 19 where he specialises in the right to information, equality and non-discrimination, public participation and media reforms for both digital and non-digital contexts. He has worked to improve freedom of expression and access to information for both digital and non-digital publics. He is an active contributor to the open governance space and is currently working to broaden the base of actors in Kenya’s Open Government Partnership. He writes on the arts. 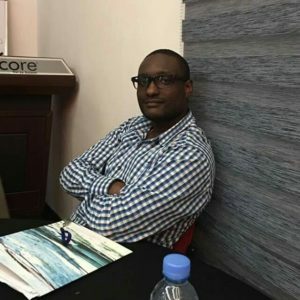 Kayode Oyeyemi is a certified computer scientist with more than six years experience in graphics design and web solutions. He has worked in the AfICTA secretariat for more than three years serving in several capacities including currently as the senior programme officer. His interest in internet governance and policy formulation spurred him to be active in the Nigeria Internet Governance Forum. Kayode is a professional guitarist and teaches the instrument effectively. 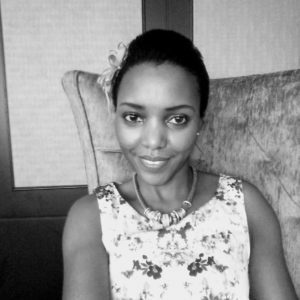 Karabo Rajuili is the advocacy coordinator at the amaBhungane Centre for Investigative Journalism. amaBhungane seeks to secure information rights and mitigate threats to the free flow of information in the interest of investigative journalism, and wherever possible the wider media and public, through analysis, advice, lobbying, campaigning and litigation. 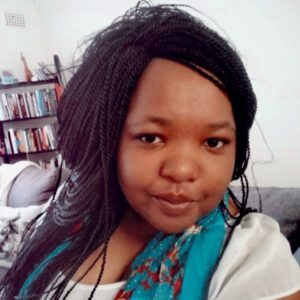 Karabo’s particular interest in internet governance is in cyber security legislation, state surveillance technologies and privacy laws and how these impact on the journalism and digital activism in southern Africa and the region. Karabo serves on the board of a feminist organisation, the Saartjie Baartman Centre for Women and Children. Noha Ashraf Salam has worked for multinational companies Microsoft and Orange Business Services; and at Dell EMC as a senior data storage analyst. 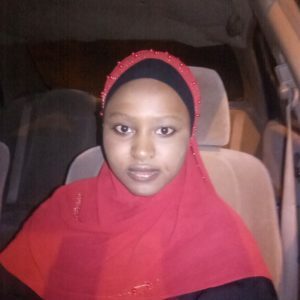 Noha is also a volunteer member at Dell University Relations Committee and a Dell Social Media Ambassador and was selected by ISOC in 2017 as a Youth @IGF fellow where with other fellows they co-founded Digital Grassroots, a youth-led initiative to promote digital citizenship which created an ambassadors programme for training youths between 14-29 years of age on digital citizenship and internet governance. 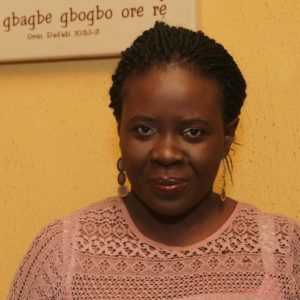 Oyindamola is principal computer analyst with the E-Government department of Federal Ministry of Communications in Nigeria. She contributes extensively to the review of the National ICT policy, the development of a national framework for e-health, the formulation of an e-health policy. 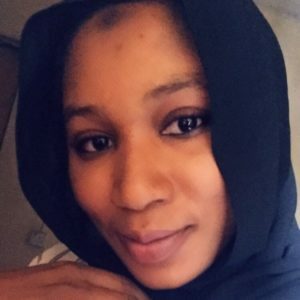 Her portfolio brings a broad perspective to improving security and privacy issues as relates to internet governance in Nigeria as well as Africa to ensure the continent has very strong internet security and privacy laws. 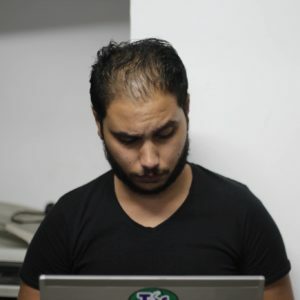 Mohamed Ashraf is a Linux system administrator, Digital security trainer and tech policy program officer at Motoon, he is a GNU/Linux operating systems geek who's main interest is to spread FOSS culture among people and help them find free, open source and secure alternate solutions for their everyday digital life, he also believes that freedom and neutrality of the internet, privacy and security of the users are fundamental rights for every human being, one of his biggest joys when he sees a new server finally up and running, when he is not glued to a computer screen with a terminal, he might be reading or listening to music.